THIS YEAR FOR THE FIRST TIME, STARVEALL FARM IS REARING GEESE. Back in June, the day-old goslings arrived on our farm. For the next 2-3 weeks we kept them indoors to allow their plumage to grow sufficiently to keep them warm. Then they were allowed to roam freely in our grassy paddock. As with our turkeys, their welfare is constantly monitored. Our geese are then slowly reared until they reach full maturity. They feed mainly on grass, supplemented by a natural diet with no food additives. This traditional rearing method ensures that their meat will be rich and succulent. The oven-ready weights range from around 4kgs to 7 kgs. There is less meat on a goose than on a turkey, so an average 6 kg goose will feed 6-8 people (allowing about .75kgs per person). 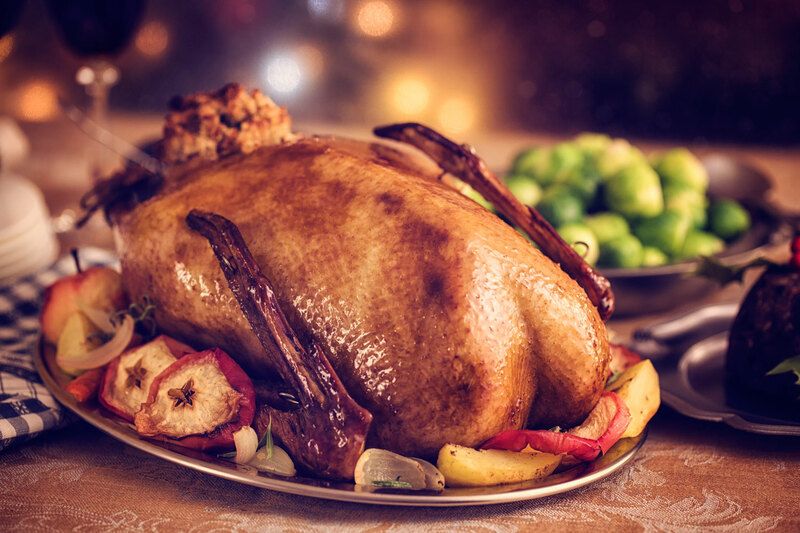 The price for a free range goose is £14 per kilo.